If you manage a large residential area or need to spread salt on roads, a push spreader won't cut it. 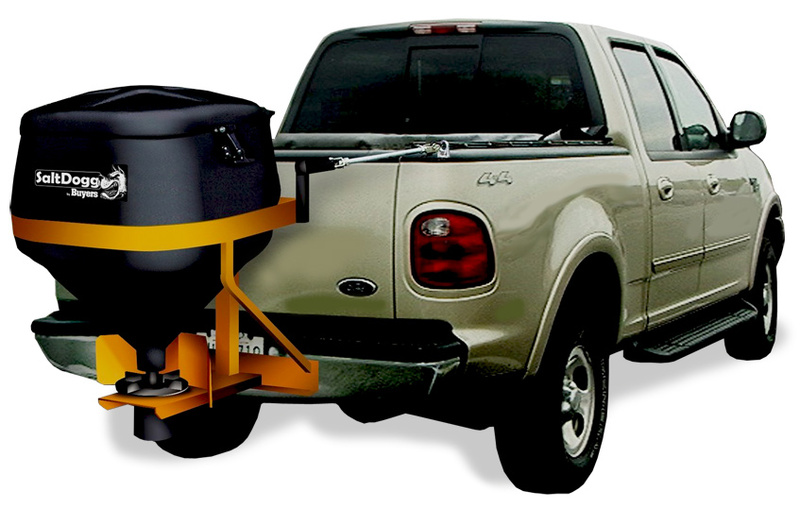 The SaltDogg Tailgate Salt Spreader operates just as the name implies - attach to the back of your truck or SUV and this tailgate spreader goes to work for you. The amount of stored salt varies depending on size but the 4.41 cu. 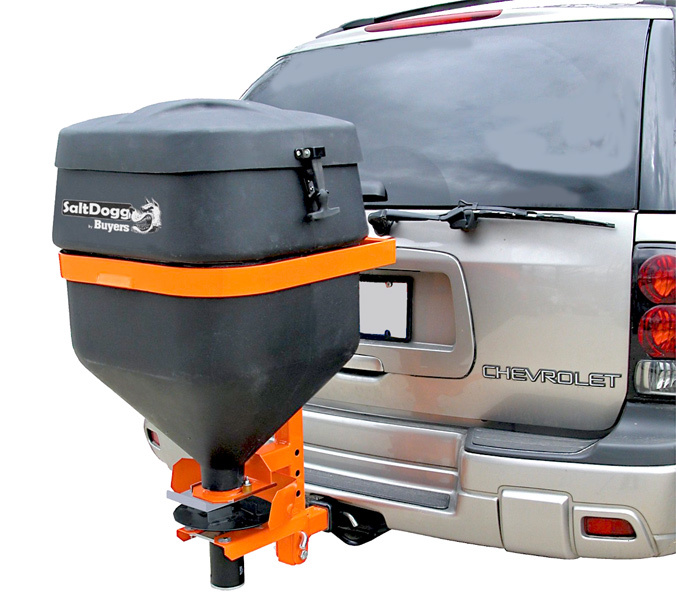 ft. model - for use with SUVs and pickups - holds up to 68 pounds of salt. The biggest, designed for heavy-duty trucks, holds a whopping 825 lbs. All models feature a weather-tight lid that keeps your salt safe from moisture and spillage and are made from a polyethylene and steel combination for maximum durability. Plus, the internal augers and feed mechanisms keep the spreaders rom jamming, allowing you to focus driving. Backed by a 1-Year Warranty. 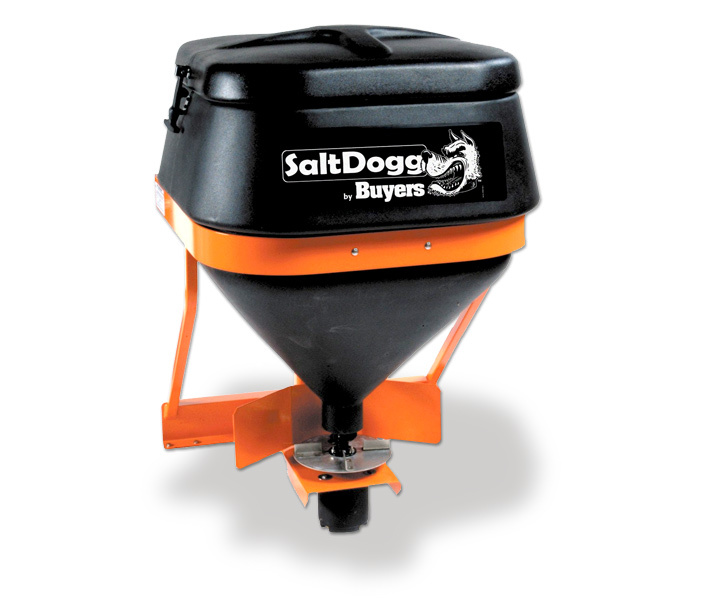 We currently do not have any FAQs for the SaltDogg Tailgate Salt Spreader. If you have any questions, email us at [email protected]. 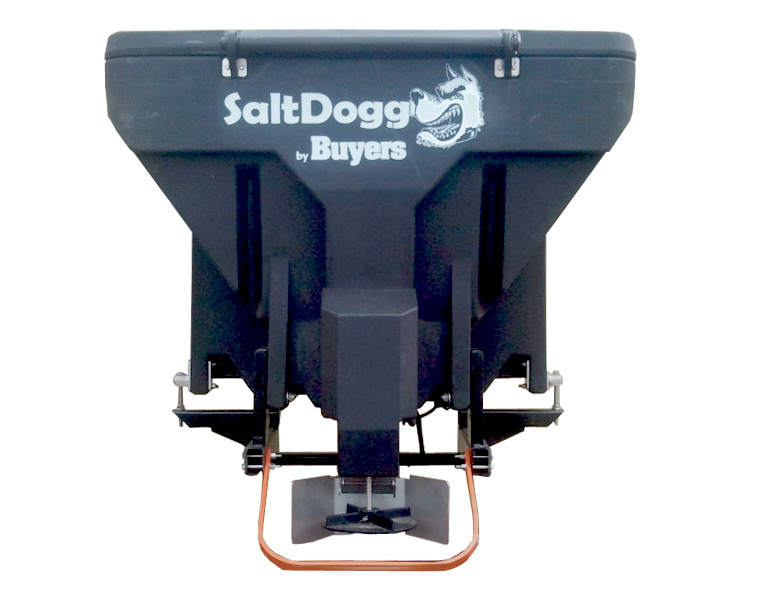 SaltDogg Tailgate Salt Spreader features a 1-Year Warranty.